An entity may inherit properties from other entities. You can specify a specific strategy to use for inheritance. 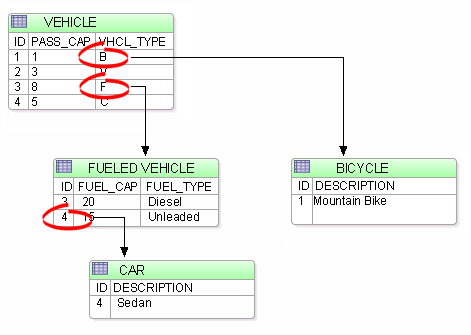 In the JPA Details view, select the Inheritance information. 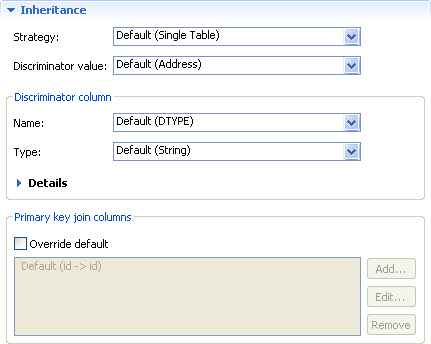 Complete the fields in the Inheritance area. Use the following table to complete the remaining fields on the tab. See "Inheritance" for additional details. The following figures illustrates the different inheritance strategies.